I've always said that great style can be found at all price points. 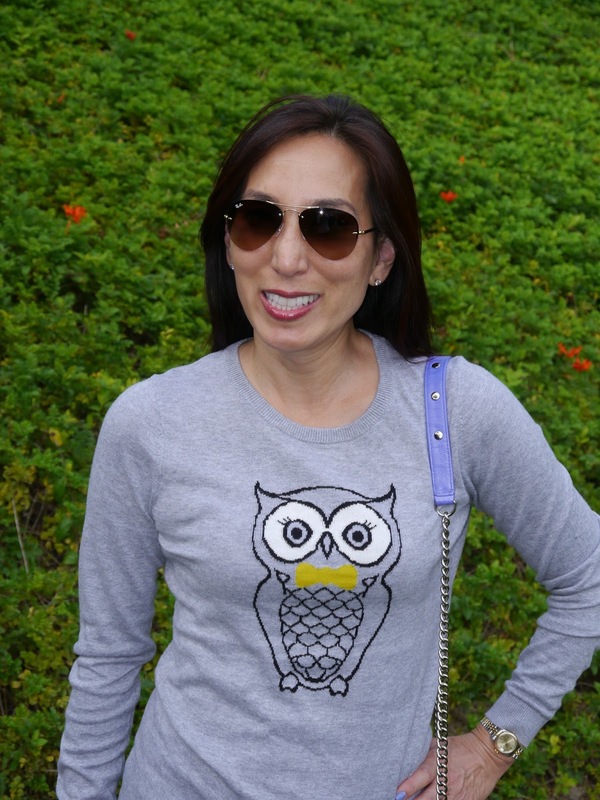 This owl sweater is from Old Navy, and it retails for $32.94. When I bought it, it was 30% off, so I paid around $20 for it (At this writing, it's on sale for $24.00). It's also made out of cotton, so it breathes and launders well. The animal print is cute and on trend - How can you go wrong? Love this Vince d'Orsay flats!